In 1901 a series of laws were passed by San Francisco developers that outlawed burials. In 1937 the San Francisco Board of Supervisors voted to evacuate all cemeteries within city limits and forced its buried to be moved to places like Colma in response to the growing land shortage and cemetery eyesores. Colma has been described as a place where politics, economics, and the cultural history of the American West are represented, a necropolis. This description is due in part to people like Hamden Holmes Nobel and other civic-minded individuals who found the solution to overcrowded and forgotten graves in the concept of remote and landscaped areas where the dead could rest and the living could be rest assured they would be continually cared for. Nobel and other upper-class leaders and members of San Francisco’s financial and investment community founded Cypress Lawn Memorial Park in 1892 on a 47-acre plot in the town of Colma, in the county of San Mateo just south of the San Francisco border. Additional acres were subsequently added. Cypress Lawn Memorial Cemetery is one of the oldest cemeteries in Colma and holds the graves of more outstanding economic, political, intellectual and artistic figures in the history of California and the West than any other cemetery in Colma or elsewhere. Leaders such as Hubert Howe Bancroft, Gertrude Atherton, and Rev. William I. Kip are interned at Cypress Lawn. Economic leaders interned include George and Phoebe Hearst and Elias J. “Lucky” Baldwin. Political leaders include John Percival Jones (founder of Santa Monica, California), Governor Hiram W. Johnson, and Tomas O. Larkin. Nobel Chapel has been called the “centerpiece” of Cypress Lawn, and one of the twenty-one identified resources of the Cypress Lawn Historic District. It is located across from the more modern Cypress Lawn at the west campus. Nobel Chapel, named after its founder, Hamden Holmes Nobel, was one of the first buildings to be built at the cemetery. The chapel was built by noted San Francisco Bay Area architect, Thomas Paterson Ross, who designed over 250 buildings of various types over his career. 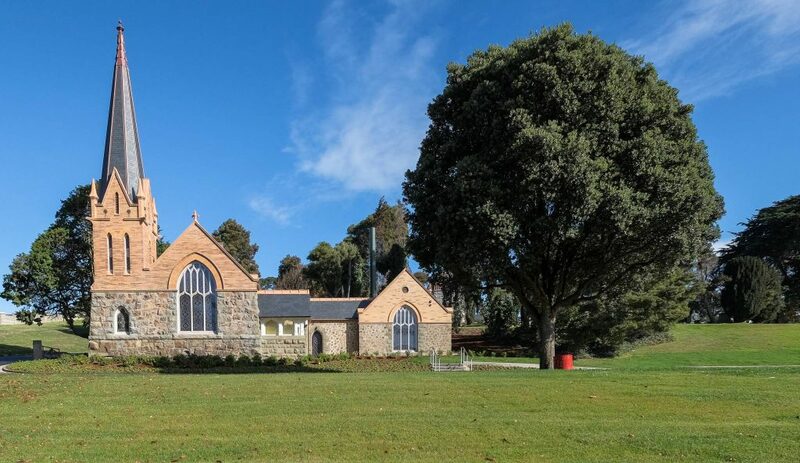 Nobel Chapel is small (accommodates sixty) and built in the English Style Victorian Gothic style – tucked within acres of natural surroundings that connect with the tranquility of its inside gardens. Its Gothic arched stain-glassed windows made by Tiffany, Connick and Lamb are examples of the stained-glass collection featured in other buildings on campus. Its crematorium was added in 1937. Over the years, the chapel’s brick veneers, asphalt shingles, and carpets have undergone piecemeal renovations. On May 5th, 2013, the chapel’s crematorium was partially destroyed by fire due to a malfunction during operations. The chapel was significantly damaged by smoke and water. 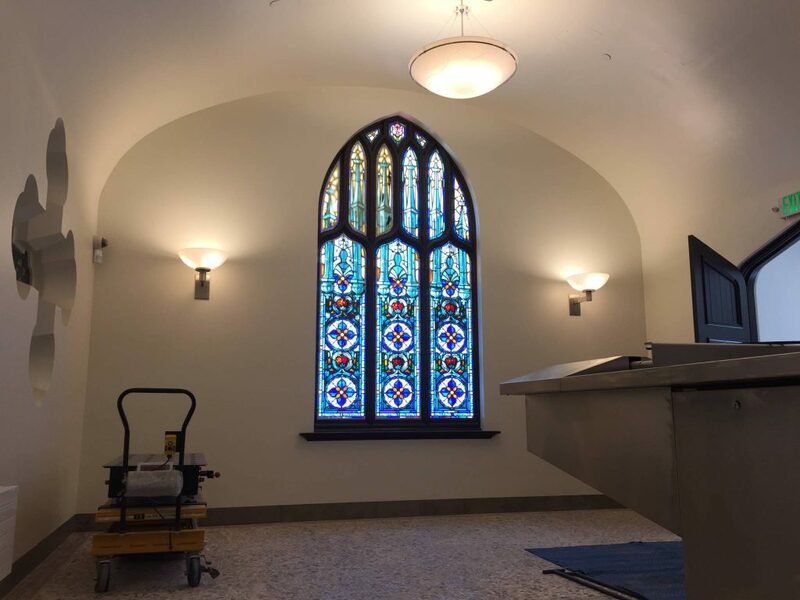 Architectural Resources Group, aided by Swinerton Management & Consulting created a thorough historic resource report to guide the preservation and restoration of the chapel, and to rebuild and retrofit the damaged portion of the crematorium. 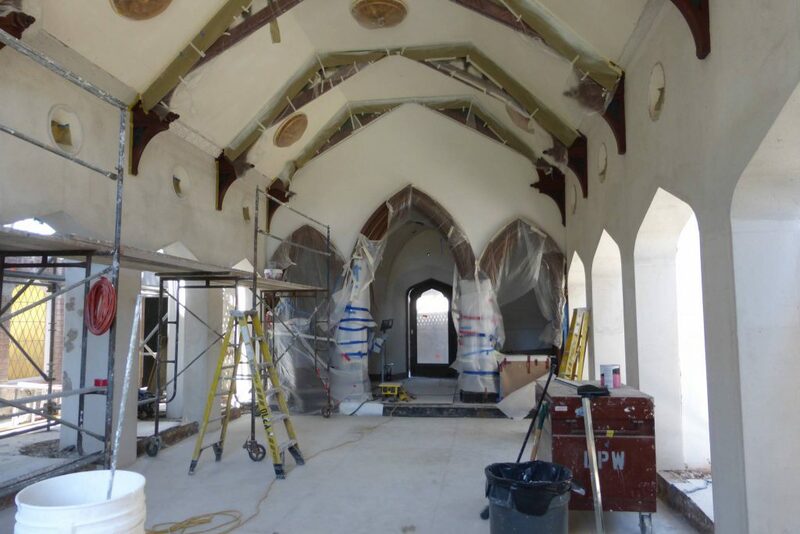 In the crematorium new interior finishes, a new heating system, an electrical system, and a fire sprinkler system were installed. It also received a structural seismic upgrade making it the state-of-the-art facility. 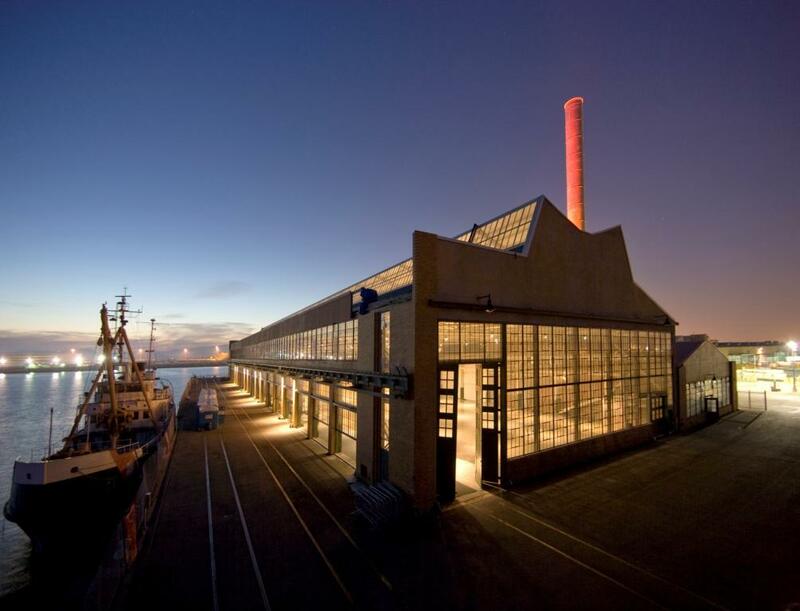 The successful rehabilitation cost 5.2 million dollars and took almost 2 years to complete. The majesty of Nobel Chapel’s original Victorian Gothic architecture, including the Tiffany-stained glass windows, terra cotta and copper building elements, ceiling beams, and other detailed fixtures were painstakingly restored. To prevent another mass cemetery exodus and to protect the future of Cypress Lawn and its historic structures, dedicated cemetery lands are permanently unavailable to urban development under the Open Space Element. Another safeguard is the fact that Terry Hamburg, Director of the Cypress Lawn Heritage Foundation, successfully markets the chapel as a “venue.” The public is invited to participate in free walking tours, lectures, and estate planning seminars, all supported by cemetery membership and donations from the Cypress Lawn Heritage Foundation. In fact, the California Preservation Foundation organized a Night Photography workshop in 2015 to a sold-out crowd of aspiring photographers thanks to the partnership of the Cypress Lawn Heritage Foundation. 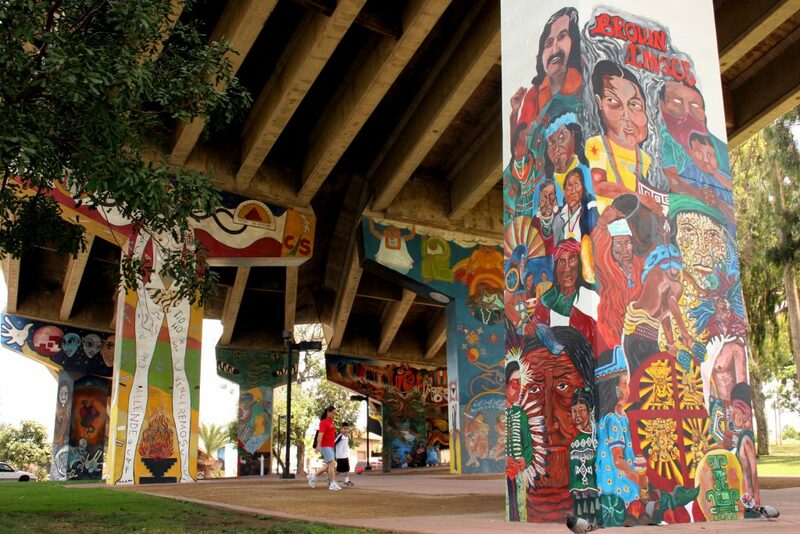 Staying true to the rural, lawn-park, and memorial cemetery movement, and the diversity of programs and community services, create a sense of history – wether honoring the past or creating new memories. This will undoubtedly keep the Chapel and Cypress Lawn memorial in use for generations to come. Rita Cofield is a native of Los Angeles. She is the youngest of eight siblings and the oldest of four adopted brothers and sisters. She graduated Howard University with a Bachelor in Architecture and Planning. She fell into Stage Managing where she learned that she was destined to foster creative solutions and maintain the integrity of historic buildings, as well as historical information. She is currently a candidate for the Master of Heritage Conservation and will complete her thesis by December 2014. She is currently working as an intern for PCR Services in Santa Monica. She continues to stage manage and on occasion, direct plays in the Los Angeles area. She is a member of LA as Subject, the Historic Theaters Committee, Actors Equity, and volunteers with Habitat for Humanity. She enjoys the outdoors, learning new things, eating new foods, going to new places, and seeing new plays. She responds to the career titles, cultural resource manager/architectural and public historian/theatrical curator and artistic director. Find Rita on Google Plus. T. Paterson Ross is NOT buried at Cypress Lawn. He is at Forest Lawn Glendale in a section in front of the church he designed for that cemetery. Can provide 100% proof if needs be. Bernard: Thanks for noting that. I will amend accordingly.